For those at risk of pressure sore development, pressure relief mattresses provide an excellent way of providing comfort and protection. 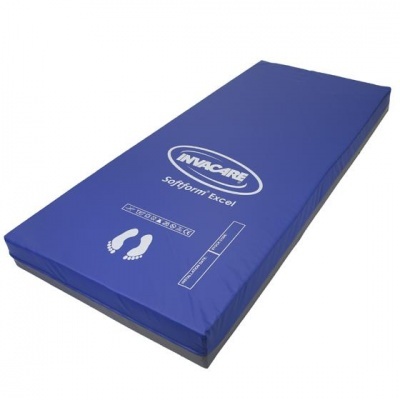 The Invacare Softform Excel Pressure Relief Mattress is constructed from high specification foam over a robust foam base, providing excellent weight distribution and comfort. The core is made with keyhole cut cells, each moving independently to promote support and relief to key areas of the body. This mattress is available with a choice of four different widths. Select your desired width using the drop-down menu at the top of the page. 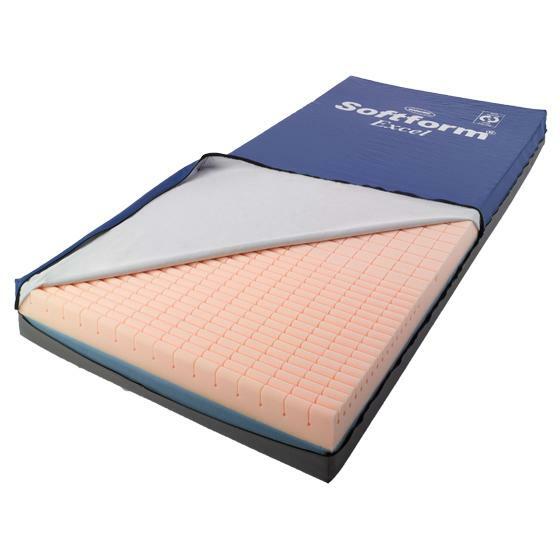 The Softform Excel is designed for those considered to be at risk from pressure ulcers. The high specification foam allows the mattress to evenly distribute weight when the patient is lying on it. This reduces the number of pressure points, which in turn lowers the risk of developing ulcers. The core of the foam mattress is made from keyhole-cut foam cells. This means that they can move independently, helping to evenly distribute the user's weight across the whole of the mattress. It is this distribution that reduces the pressure and helps to prevent ulcers. This mattress is made with a robust foam base, helping to prevent the mattress from bottoming out. This improves the lifespan of the mattress as it maintains its shape and rigidity even after repeated use. Many mattresses require frequent turning, taking up valuable carer time and reducing care home resources for other patients. This mattress needs only to be turned, increasing the product's longevity and reducing the manual handling required. The mattress is supplied with a protective cover. Made from a durable and sturdy fabric, the cover offers a layer of protection over the mattress, elongating its lifespan. The cover also helps to reduce friction. The cover zips around three sides of the mattress. This keeps the mattress contained while in use, making it easy to inspect the foam in case of damages.